As another year of widespread socio-political unrest concludes in the Middle East and North Africa, many wonder if meaningful progress toward peaceful accords, greater economic prosperity, and human rights in the region (known by its acronym MENA) is attainable. Lehman College political science professor Elhum Haghighat thinks it is, and argues that population shifts are leading to probable improvements. In her new book published by Cambridge University Press, “Demography and Democracy: Transitions in the Middle East and North Africa,” Haghighat’s theoretical and empirical analysis of countries in the region point to shifting realities on many fronts. Even when factoring in the influence of Islam’s religious tenets and its political usages on the process of modernization, the changes now occurring are likely to expand, resulting in political development and a demand for democracy. Haghighat uses a comparative analysis of countries in the region based on social and political indicators and demographic measures—such as fertility and mortality rates, education, employment and unemployment, life expectancy, and measures of social status—to provide a better picture of how development, demographic, and democratic transitions are re-making the region in significant ways. Most importantly, Haghighat notes that changing demographics help explain why MENA women and the younger generation of both men and women are being afforded greater prominence in the present and future of their societies. She also notes the differences between becoming “modern” and “Western” as an explanation of how observers might be confused by some of the changes happening in the region. The front cover design of her book features a striking figurative painting called “Dictator and Dancers” by Syrian political artist Wissam Al-Jazairy that depicts four women dancers / ballerinas in front of a tank seemingly stopped in its tracks. “I find the message behind Al-Jazairy’s brilliant painting to be a representative of what the MENA region stands for—reality of destruction, war, and conflict on one front, and the messages of peace and positivity on the other front,” said Haghighat. Trying to make sense of cultural and ethnic diversities, as well as socio-economic and demographic differences, has been a lifelong project for Haghighat in many ways. Born in Iran, Haghighat moved to Teaneck, New Jersey, as a teenager in late 1970s with her two younger brothers. She experienced great culture shock from being in a new country, learning a new language, and the sudden disconnect from her home and the rest of her family because of the political turmoil in Iran. 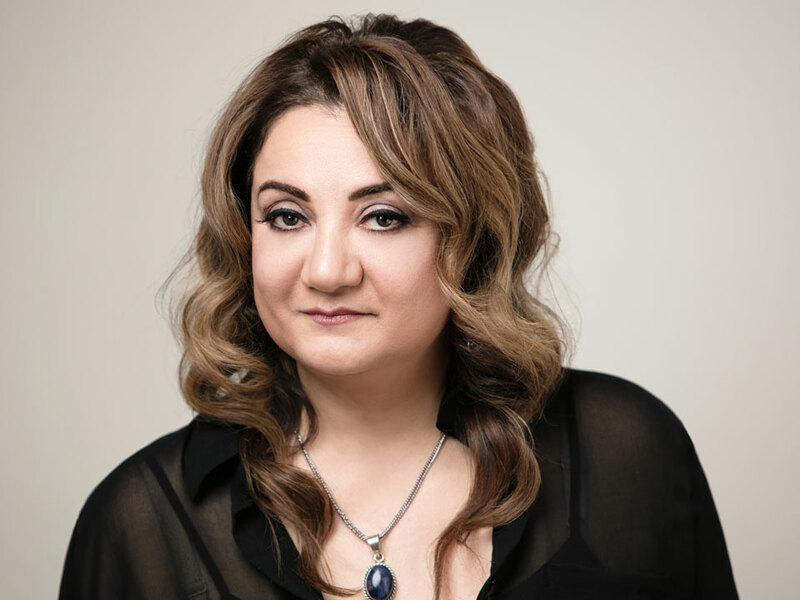 The chair of Lehman’s Department of Political Science, Haghighat is also the author of an earlier book, “Women in the Middle East & North Africa: Change & Continuity.” She has a long list of peer reviewed journal articles and reviews in addition to her books, technical reports and book series. She has been the recipient of a faculty teaching award at Lehman College.